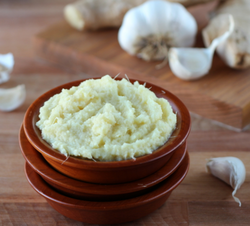 Our product range includes a wide range of garlic flake, garlic granules, ginger garlic paste, potato starch, dehydrated garlic and dried garlic granules. 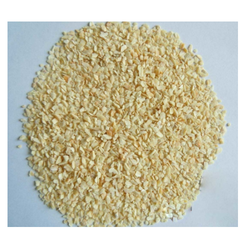 We ensure the quality of Garlic Flake to our valuable clients. 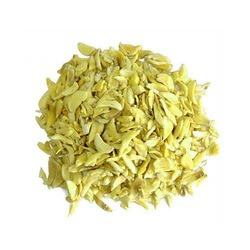 The dehydrated garlic flake have excellent flavor and taste that is similar to the fresh garlic. 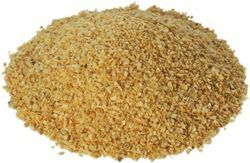 We offer the dehydrated garlic flake at economical prices. These are highly in demand for their best quality in market. 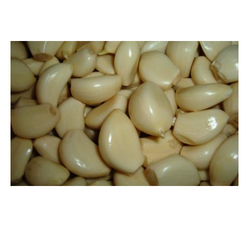 We are leading manufacturer & exporter of Garlic Granules and our product is made up of good quality. 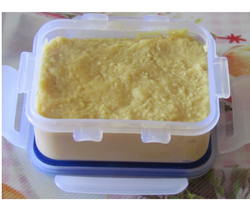 We are leading Manufaturer of Ginger Garlic Paste and our product is made up of good quality. 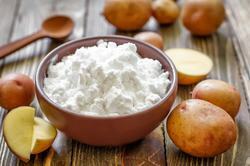 We are leading Manufaturer of Potato Starch and our product is made up of good quality. These Dehydrated Garlic are highly appreciated by our client for their rich taste and purity. These are easily available at very reasonable price in market. The dehydrated garlics is free from any added artificial coloring matter. 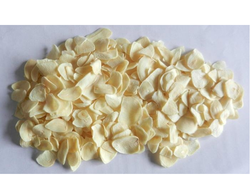 Being one of the eminent names of the business, we bring forth Dried Garlic Granules. Free from preservatives, the offered garlic granules are quite suitable for making garlic breads and can be added in burgers, salads & French fries too. Dried garlic granules are stored in a cool dry place and can remain fresh for a long time. These granules are vastly popular for their fine nutritional value and excellent taste. We are concerned with the manufacture and trade of Dried Garlic that is processed at a certain temperature. Added to burgers, rice, mushroom soups, pizzas and other food items, this garlic powder is widely appreciated for its amazing flavor and high nutritional value. Dried garlic is provided in airtight packaging and can be stored for a longer time period. 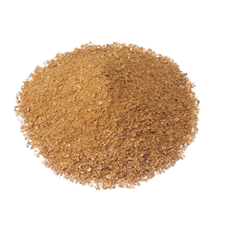 We bring forth for our clients an extensive range of Dried Garlic Powder. This is processed under the supervision of highly skilled & adroit chefs using superior quality ingredients under hygienic environment so that it can be stored for long. 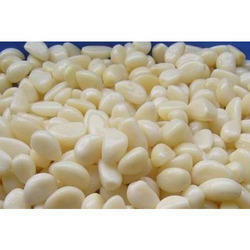 We are leading Manufaturer of Frozen Garlic and our product is made up of good quality. 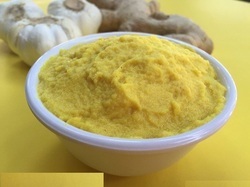 Leveraging upon our rich domain expertise we are engaged in offering a wide range of Ginger And Garlic Mixed Paste. 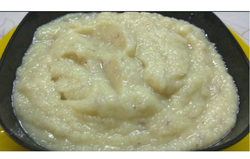 With a vision and keenness to provide healthy and highly nutritious product to our customers, we present natural sweetener in the form of Garlic Paste that is used for making meat, chicken and other such dishes. We are among the pioneers in the industry for manufacturing and supplying No Skin Garlic to our revered patrons. The offered cloves are demanded in food processing industry and restaurants. We are offering a wide gamut of Onion Garlic Ginger Paste to the clients. 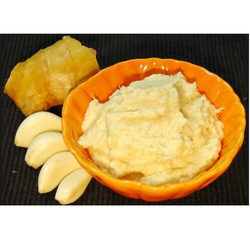 These products are processed with the help of organic ginger and garlic. These products are used for preparing food items in the different kitchen. 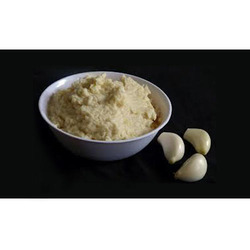 We are a reputed entity in the industry, actively engaged in offering an optimum quality range of Fresh Garlic Paste. Owing to our skilled team of professionals, we have emerged as a renowned firm of an assorted range of Peeled Fresh Garlic. We are engaged in proffering Dehydrated Garlic Flake, which has a pale yellow to light brown color. 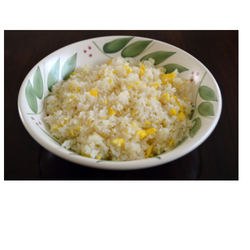 With characteristic pungent and zero contaminants, the offered garlic flakes are widely known for its pungent flavor. Demanded for adding flavor in dry soups mixes, sauces, vegetable mixes, stuffing mixes and fast foods, the offered garlic flakes are vastly sought after. 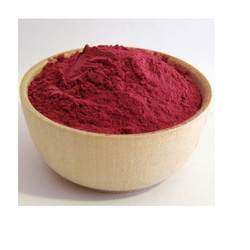 We offer our customers with best quality Beet Root Powder that are rich in taste and flavor. We offer these Dried Beet Root Powder in various specifications and ensure the packaging is done in an effective manner to avoid wastage during transportation. Owing to our expertise in this domain, we are engaged in manufacturing and supplying optimum quality Lemon Powder that helps in cases related to poor digestion and sinus. 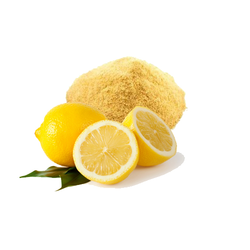 Our provided lemon powder is hygienically processed using the finest quality lemon and ultra-modern technology under the supervision of our skilled professionals. 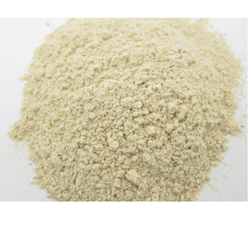 The offered powder is tested by our team of experts on various quality measures. We are successfully meeting the varied requirements of our clients by providing the best quality range of Ginger Paste. 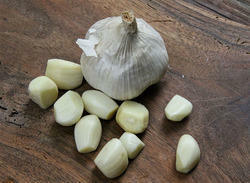 We are reckoned as one of the preeminent Dehydrated Garlic Manufacturers and Exporters from India. The panchvati foods take meticulous measures to ensure an outstanding Dried to Eat Garlic.